Thanks to Eyjafjallajökull eruption now every person on the planet knows that there are volcanoes in Iceland and that some of them are still active. So what are the most well-known volcanoes in the country? 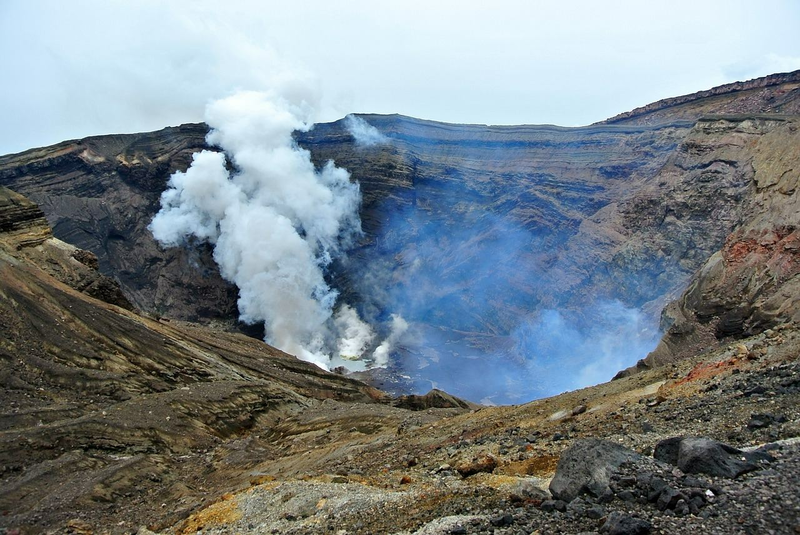 This caldera is accessible only several months per year due to the weather conditions. It is located in a remote area in Icelandic Highlands and the place gives almost out-of-earth experience. The landscapes here is lunar like, so it wasn't a surprise that Apollo program trained their astronauts for lunar mission here. Askja became famous after the huge eruption in 1875 that caused mass migration from Iceland. Although volcano wasn't active for many years, scientists believe that the new eruption might happen soon, the rising geothermal activity heating the nearby lake, which became ice free in April, whereas previously it happened only in late June. This basaltic volcano, which is situated in South East Iceland has the highest frequency of eruptions among Icelandic volcanoes. In 2011 the Grímsvötn eruption caused cancellation of hundreds commercial flights in Iceland, United Kingdom, Greenland, Germany, Ireland and Norway. The scale was even higher than in Eyjafjallajökull eruption. This stratovolcano in the South Iceland is one of the most active in the country. In the Middle Age Hekla was called in Europe "Gateway to Hell" due to its frequent eruptions. The volcanic ridge is 40 km long, where the most active part is 5 km fissure named Heklugjá. Despite the dangerous reputation, nowadays Hekla is a popular tourist spot for hiking. The duration of the path will take approximately four hours and it is possible to camp in the area. It is one of the biggest volcanoes in Iceland, it is located to the East from infamous Eyjafjallajökull glacier. The name Katla came from Icelandic word "ketill", which means a kettle, and it is due to the form of the volcano. Its caldera is 10 km in diameter, which is covered with ice. Some scientists believe that the volcano erupted recently, but we didn't see it, because it couldn't break the ice cover. This 700,000-year-old stratovolcano can be found in Western part of Iceland. The real name of the volcano is Snæfell, but it is called Snæfellsjökull to avoid confusion with nearest mountains with the same name. This is probably one of the most famous places in Iceland, as it was depicted in popular Jules Verne's novel "Journey to the Center of the Earth".